And do you know how much filth can your favorite kitchen utensil hide? Even if this doesn’t scare you off, drinking coffee from a clean coffee pot is much more pleasant than from a dirty one. Don’t you agree? Today we are going to look at different coffee maker types and see how to keep each of them sparkly clean. Let’s make sure that every cup of your favorite beverage is smooth, pure, and delicious! Moka pot. 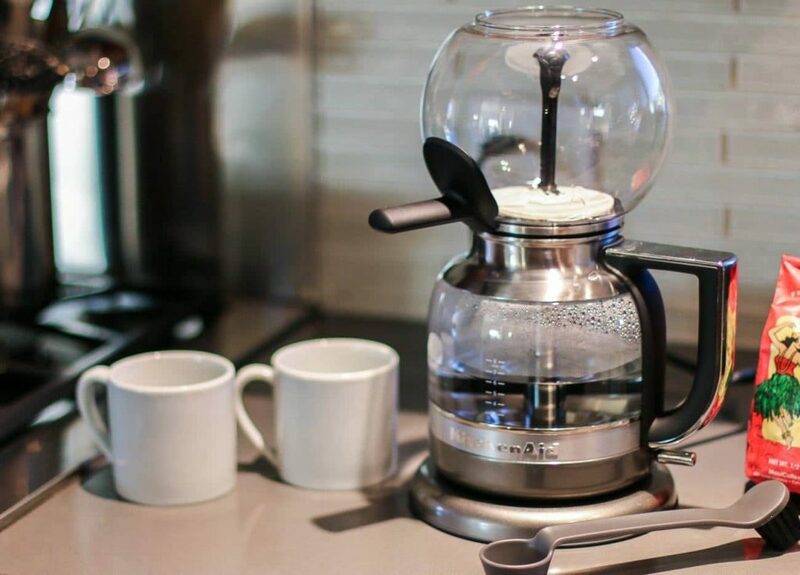 This is a stovetop coffee maker that has a bottom boiling chamber (for water), a middle funnel (which holds ground coffee), and a top chamber (which serves as a carafe for the beverage). French press. French press is a manual coffee maker. It has a carafe that your coffee steeps in. There’s also a filter plunger to keep the grounds away from your mug. Drip coffee maker. This type is very easy to use. You need to fill it with ground coffee, add some water to the reservoir, and press the Brew button. And the automatic machine will do the rest. When using your coffee machine regularly, one day you might notice that it takes more time for your coffee to drip. You might also notice a weird flavor of your beverages. These are the signs that you should clean your coffee machine. With time, water minerals and chemical compounds create a buildup on the inner parts of your machine. Once you get rid of them, your coffee will taste great again. Espresso machine. These ones are a bit more complex. They involve a pressure system, which forces the hot water through the coffee grounds, resulting in a rich and bold espresso. Some of these machines also have integrated milk frothers that allow users to prepare different beverage types like cappuccinos or lattes. Single-serve capsule coffee machine. Such machines work with special coffee pods (or capsules). They are very easy to use and come in a variety of designs, allowing for quick single-serve beverages. Vacuum coffee maker. This type is another stovetop coffee maker that involves a very interesting design and brewing process. It has a bottom chamber that holds the water. And its top chamber is typically a glass container that holds the coffee grounds. There’s also a filter and a stem in the middle that deliver the hot water to the ground coffee. Pour-over coffee maker. Typically made from glass, these coffee brewers feature two chambers. The top one is conical, and that’s where the coffee filter and the grounds go. Then, you pour the hot water over, which steeps the coffee and travels down to the bottom chamber. 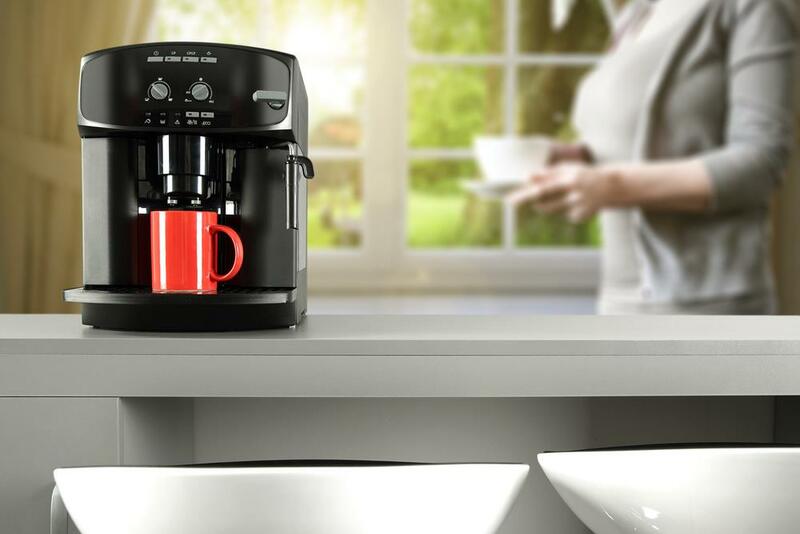 Now, it’s time to clean your most favorite kitchen utensil – your coffee brewer! As you already know, different types require different methods, so let’s look at each of them to find the perfect cleaning solution for your particular case. The process of Moka pot cleaning is both simple and complex. Sounds contradictory, right? You see, it’s simple because you don’t require many tools. However, this process needs diligence, which makes it a bit complex. Dumb the coffee grounds (after your Moka pot has cooled down, of course). Rinse each piece with warm water. You can use your fingers or a soft sponge to loosen any debris or coffee bits. Wipe the parts dry using a soft cloth. Reassemble your Moka pot. You can use it again now. When it’s time to clean a coffee maker, avoid using any harsh solutions or even worse — bleach-containing detergents. Even if you rinse everything super thoroughly, there still may be some residue that can ruin the taste of your beverage and even be dangerous for your health. Additionally, using such cleaners can actually damage your Moka pot material. Interestingly enough, the brand new Moka pot should actually become dirty for you to use it. 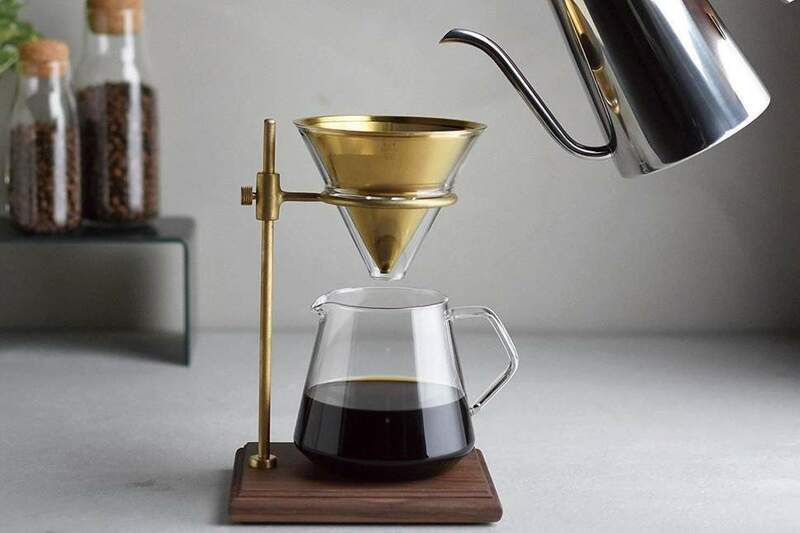 Let me explain: by brewing some coffee in it a couple of times (but not drinking it), you will actually “seal” the metal material of the pot and prevent your next beverages from having that unpleasant metallic taste. After you’ve had your coffee and your French press has cooled down, empty it and throw away the used grounds. Add some dish soap and warm water into the carafe. Put the lid on and move the plunger up and down until the soapy mixture gets foamy and bubbly. Rinse the part thoroughly. If there’s any residue or debris left, wipe it off with a soft sponge. For deeper cleaning, use baking soda. Mix it with water until it turns into a paste, apply over the French press parts, and scrub using a long, soft brush. Again, rinse all of the parts nicely. Wipe everything dry using a soft cloth. Assemble your French press back. A baking soda method is suitable for tougher residue. It can be done once a week, which would definitely be enough. However, on a daily basis, a simple rinse with a soapy water is okay. Don’t be in a hurry to throw your coffee grounds away. You can use them as a body scrub, an odor neutralizer, or even a plant fertilizer for your home garden. Empty the carafe if it has any leftover coffee. Mix clean water with white vinegar (equal parts). Pour the mixture into the water reservoir. Fill it up to its full capacity. Run a couple of brew cycles (until the water reservoir is empty). Of course, don’t add any grounds to the coffee chamber. Just let the vinegar and water go through the system a couple of times to get rid of the scale buildup. Empty the carafe and rinse it thoroughly. Fill the water reservoir with clean water and then run a couple of water cycles to rinse out the vinegar. Clean the exterior using a damp cloth and let everything dry. Using an automatic machine oftentimes limits your chances to experiment with different coffee ratios (unless your machine has advanced strength settings). 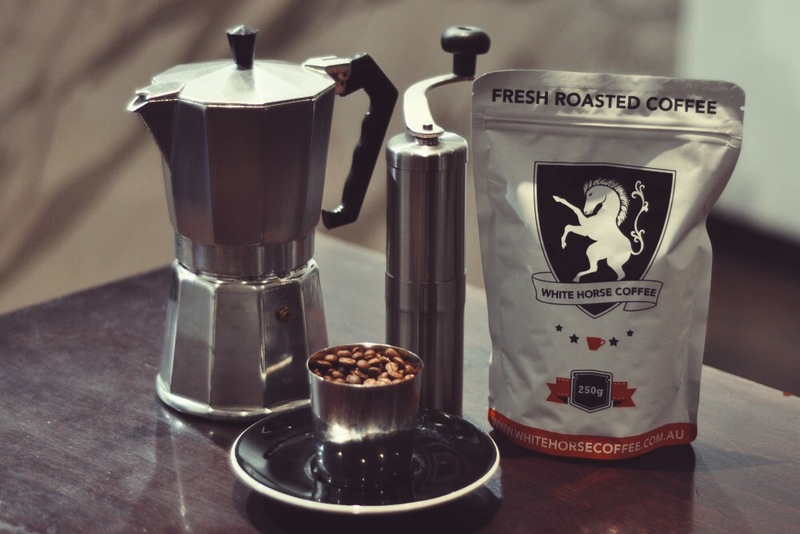 That’s why many people prefer regular brewing methods like French press or Moka pot. At the same time, using an automatic machine is much simpler and faster, and we all appreciate the convenience. If your carafe has a lot of stuff inside, you can clean it out using some warm water and rice. Simply place this mixture in your carafe and stir it nicely. It will loosen up all the gunk, which you can remove using a sponge (after you’ve poured out the rice/water mixture, of course). If your machine works with a reusable filter, you should clean it as well. Simply soak it in a mix of clean water and a mild dish soap for around 20 minutes. Then rinse thoroughly and use again. When cleaning your coffee maker, don’t forget to get rid of all the buildup in the water reservoir. To do that, mix some clean water with white vinegar (1:1) and leave this solution in the water reservoir for around 20-30 minutes. Then rinse the water tank thoroughly and enjoy your beverages. If there are old stains on the hot plate of your drip coffee maker, you need to soak those off. To do that, put a damp cloth or a wet paper towel on the plate (wait for it to cool down first!). Give it around 20 minutes and wipe clean the plate. Drip coffee makers are great for people, who prefer brewing coffee in large quantities. Run a cycle without coffee. To do that, place a blind filter (which should come with your espresso machine) into the portafilter and run a cycle as you would do when making espresso. Rinse the portafilter under the running water. You can use a little bit of dish soap to get rid of stubborn residue. Add some espresso machine cleaning solution into the portafilter and run another hot water cycle. Use a small brush to gently scrub the shower head. If your machine has a steam wand, you should clean it too. Simply place it in an empty mug or container and run the steam for around a minute, then wipe the wand with a soft cloth. You can also clean the inside using a small, thin brush. Wipe the exterior with a cloth for a sparkly finish. When cleaning your coffee machine or utensil, don’t forget about the coffee grounds. They need to go directly into the trash can, not in the sink. You see, even finely ground coffee can clog the pipes, especially if you dump a lot of it in there. It is important to wash the removable parts of your machine after each use. A simple rinse with clean water will suffice. This way, you will remove the coffee grinds and the oil residue, and each next cup will be smooth and delicious. The best way to clean a coffee maker is by using distilled water. It will not leave those water stains that oftentimes ruin the appearance of so many kitchen utensils. Disassemble it and rinse the removable parts. Use a mild detergent or dish soap if there are any stubborn stains. Let the parts dry and assemble the machine. For a more thorough cleaning, fill the water reservoir with white vinegar and water (1:1 ratio). Run the brew cycle without a coffee pod. Repeat until the water tank is empty. Fill the reservoir with clean water and run a couple of cycles to rinse everything. The single-serve capsule coffee makers are extremely convenient and easy to use. However, there’s one huge drawback to them: such machines tend to develop clogs quite easily. You see, we usually use such machines very often, and the mineral buildup appears faster inside of them. Here’s a simple tip to help you keep your single-serve coffee machine clean. When not using it, keep the water reservoir lid and the capsule holder lid opened. This way, the interior of your machine will remain dry. Additionally, there will be fewer chances of bacteria or mold growth inside your machine. There are special descaling solutions available on the market, which you can use if you hate the way vinegar smells. To get rid of larger debris, you can force air through the water line using a straw. After your coffee maker has cooled down, take the grounds out and throw them away. Disassemble the brewer. Rinse the parts under the running water. Use a mild dish soap and a nylon brush to clean the insides of both the chambers and the stem. Wipe the excess water off with a dry cloth. Don’t ever be tempted to place any part of the vacuum coffee maker in the dishwasher. While this cleaning method seems to be the easiest and the fastest one, the dishwasher can damage your coffee maker. 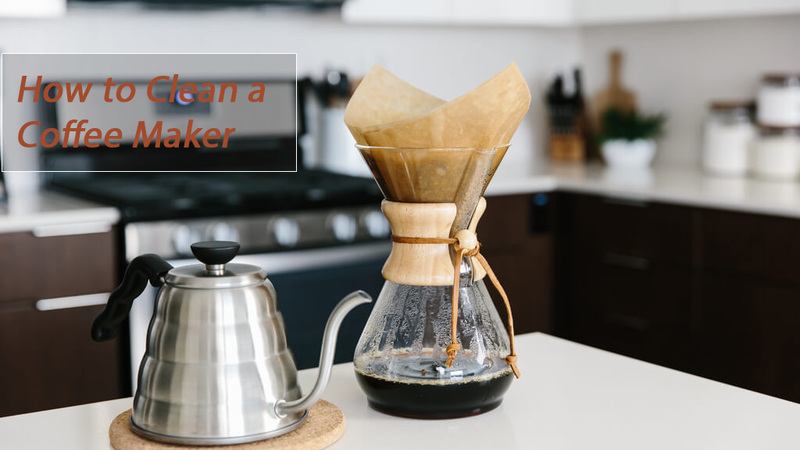 If you own a metal vacuum coffee maker, you can clean it using baking soda to get rid of the stains and the spots that tend to “stick” to metal. Let the brewer cool down and dump the grounds. Remove the wooden handle (if your model has it). Gently scrub the outside and the inside of your brewer using a soft, long brush and a bit of dish soap. Your coffee taste and flavor will signal you that it’s time to clean your machine. You see, the coffee oil residue from the grounds can actually alter the way your beverages taste. Your coffee may become more bitter or even start tasting burnt. If there’s some stubborn residue inside the coffee maker and you can’t scrub it off with a brush, try soaking it with a water + vinegar mixture. Another way to deal with serious debris is to place some crushed ice, salt (a couple of tablespoons), and some lemon juice into the brewer and then stir everything nicely. The ice and salt will work as a scrubbing element, while lemon will break down the residue. Then dump everything and rinse the brewer thoroughly. Using harsh detergents. Not only can they leave a residue, which will ruin the flavor of your beverage. They can also damage the material of the coffee machine. Letting the dishwasher do the job. Again, this may seem like a super simple solution. But in reality, your dishwasher isn’t coffee machine-friendly. It can damage the parts. Scrubbing too hard. Or using harsh metallic brushes. Do you want your coffee machine to have scratch marks all over it? Then don’t scrub it too much. Don’t forget about your kettle too. Even though it’s only used for water, it still requires regular cleaning. There can be mineral deposits on the inside. Therefore, you need to clean it regularly (once a month or so). You can use white vinegar, baking soda, or even lemon juice to clean the inside of your kettle. Not sticking to a cleaning schedule. Forgetting to regularly clean your coffee maker can lead to a serious buildup, which, consequently, can damage your machine. Ignoring the spots and the dirt. Even though the exterior doesn’t play a role in your coffee quality, not cleaning it regularly is a mistake. Those stains will build up. And the longer you wait, the harder it will be to get rid of them. Not paying attention to the way your coffee tastes. Do you ignore the overly bitter notes? Or the unusual flavors? Don’t. This is your coffee utensil or machine telling you that it’s time for cleaning! So, which coffee maker do you use and how often do you clean it? You’re welcome to share your own cleaning tips in the comments below!